Ankit Singh Rajpoot is an Indian first-class cricketer who plays for Uttar Pradesh in domestic cricket and Kings XI Punjab in the IPL. Born on 4th December 1993, the right arm fast medium pacer who is well known for making his debut for Chennai Super Kings and against Mumbai Indians and dismissed Ricky Ponting in his very first over. 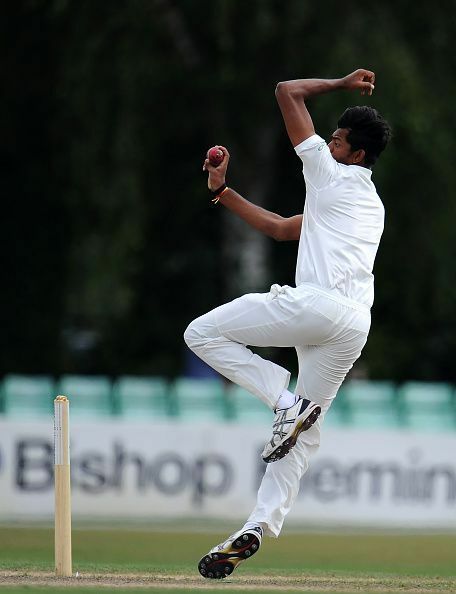 Rajpoot made his debut during the 2012-13 Ranji Trophy. He picked 31 wickets in 7 matches in that season at an average of 18. This figure was the second best for his side which featured the likes of Bhuvneshwar Kumar and Imtiaz Ahmed. His performance in the domestic tournament earned him the place in Stephen Fleming’s Chennai Super Kings the following season. He made an instant impact as he claimed the wicket of Ricky Ponting in his very first over and finished the match with respectable figures of 1/25 from 3 overs. After making an impact in his first match, his form fizzled out as the season progressed. He lost his place to Mohit Sharma. He was then released by Chennai Super Kings the following season after failing to break into the eleven at the first-class level in domestic cricket. During UP's successful campaign in the 2016 Syed Mushtaq Ali Trophy, India's domestic T20 competition, Rajpoot was the tournament's third-highest wicket-taker with 14 wickets at an average of 14.21. This got him a contract with Kolkata Knight Riders in the 2016 season. He spent 2 seasons there before being snapped by Kings XI Punjab in the 2018 IPL auction for 3 crores. He was signed by Chennai Super Kings in the IPL 2013 season. He then made it into the Kolkata Knight Riders squad in the 2016 season after 3 seasons without a team. Virender Sehwag's Kings XI Punjab secured his service in the 2018 season after shelling out 3 crores for the youngster. He had a very encouraging IPL season, even picking up a 5-wicket haul against Sunrisers Hyderabad.